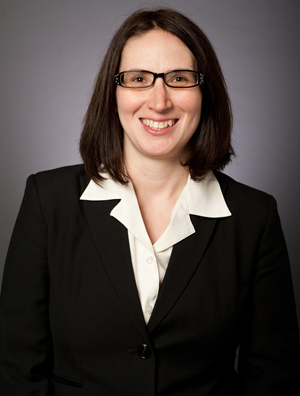 Angeline-Rose Babel, Ph.D., represents clients in all aspects of patent law, including patent prosecution, strategic management of patent portfolios, freedom to-operate-opinions, due diligence analysis and landscape analysis in the life sciences field. She has extensive knowledge in preparing and prosecuting United States and Patent Cooperation Treaty (PCT) patent applications. Angeline’s work encompasses a broad spectrum of technologies in the biotechnological arts, pharmaceuticals and life sciences, including therapeutic antibodies and peptides, vaccines, stem cells and cell therapy, cartilage implants, polymers, medical diagnostic equipment, small molecules, nucleic acids and the use of these technologies in treating disease. Her clients include global biotechnology companies, universities, start-up companies, and individuals. Prior to joining the firm, Angeline worked as an attorney and patent agent helping clients to manage and prosecute their global patent portfolios. Before entering the legal field, she worked as a post-doctoral research fellow at the McArdle Laboratory for Cancer Research at the University of Wisconsin-Madison. Her research focused on molecular and cellular pathways activated during the early events of virus entry, the progression of viral infection and the development of cancer. Angeline received her Ph.D. from the University of Wisconsin-Madison in Cancer Biology. She worked in a microbiology laboratory that used viruses as delivery systems to target drugs and chemotherapeutic agents to cancer cells. Her thesis work focused on understanding the mechanism by which a retrovirus similar to HIV enters cells. Angeline is fascinated by advances in biotechnology and enjoys helping clients navigate the intellectual property landscape to help realize the potential of their new research and discoveries.